A lot of cyclists seem to distinguish between fitness and skill. In reality, this is a false dichotomy, because skill is implicated in fitness. I don't mean this in the obvious sense: improving running fitness requires one not to constantly fall while running. I'm referring to finer-grained levels of skill and technique. I became pretty intrigued by the topic of technique while I was in full geek mode at university. The wiki page on techne is pretty good, worth a read. In short, techne is an ancient Greek term for the craft or art of making or doing. Its about embodied knowledge and understanding, in contrast to episteme, which is what we tend to think of as 'theoretical' knowledge or understanding. Aristotle wrote a fair bit about this distinction: practical versus theoretical knowledge. Aristotle also wrote a lot about habituation. In his view, virtues manifested through habituation, by doing the rights things over and over until they became automatic, intuitive, and natural. In the terminology of present-day cognitivists, Aristotle was talking about transitioning from the cognitive to automatic state of action. Techne is about intentional practice. Here's what I mean. Techne is not mere practice. The saying, 'practice makes perfect' is only true up to a point. When we stop improving, we hit the 'Ok plateau.' We move from the cognitive stage - learning, to the associative stage - fewer errors, to the autonomous stage - 'Ok plateau,' autopilot on. This is generally a good thing, but if we want to improve our cycling, karate, or memory, we need to stay in the cognitive stage. This means we have to pay attention to what we're doing, why we're doing it, and why we're making mistakes. This is techne. An obvious case to discuss is cyclocross, since it is so technique heavy, and the features on courses do not vary as widely as say, MTB racing. In order to improve in CX, we have to do two things: improve our techniques, and improve our fitness. For the former, we have to continuously ride harder sections if we want to improve our skills. 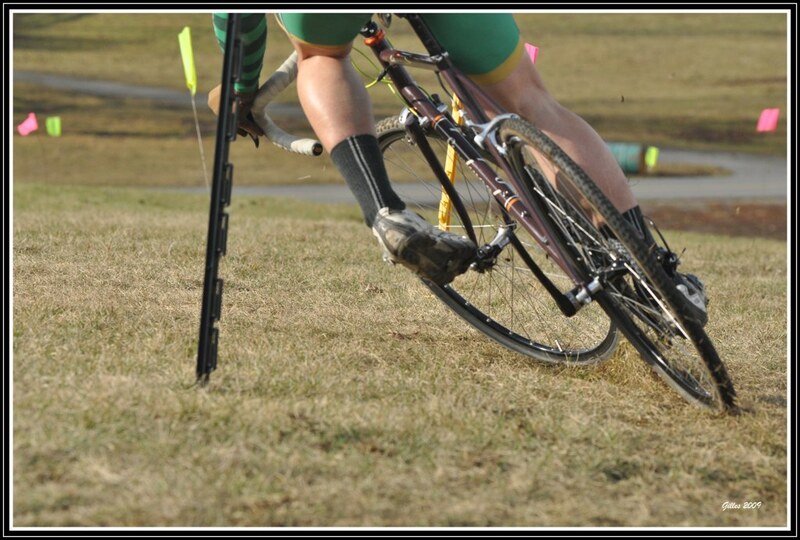 This is why I like to set up off camber turns for CX practice, and also why I intentionally push too hard in turns until I slide out. Going beyond the limit is often the best way to find out what the limit is. By taking things too far and screwing up, we create the opportunity to analyze what we are doing and how we can change that. If we can easily ride sections without thinking about how we're going to do them, we're not learning anything. We maintain our plateau. But techne is implicated in improving our fitness for CX (or an other discipline) too. When it comes to power, we can hit our 'ok plateau' if we stick with feel, if we take the Obree approach. Our mind says 'NO,' but we can still do more. However, if we quantify what we are doing, we can continue to improve. Heart rate data is not terribly helpful here, power data is. Aiming for certain numbers during intervals, and tracking our progress, keeps us in the cognitive stage of practice. This allows us to improve. If we stop analyzing and evaluating, we plateau. Being intentional about how we pedal matters too. Rather than simply pedaling hard, spend time attending to how you are pedaling. Use your glutes, smooth out your power. Work on efficiency. If you neglect this technique you are losing the opportunity to make efficiency gains. I fully acknowledge that cycling is not all about getting better. One might argue that grasping for more - speed, technique, air time, tricks, etc. - is a source of suffering. For me, the key is to know when its time to just enjoy being out on a bike in the world, and when its time to turn inward and be critical of myself. Spending all your time in the latter mode is a sure way to miss what makes cycling the beautiful practice it is and can be. Sometimes you gotta just ride (the plateau). Thanks Darren. I think you raise an interesting point regarding fun. When it comes to pushing fitness, pain is always required. Personally, I can have fun inflicting pain on myself much more readily when out with the guys throwing down a really hard ride. Sure, there are moments of turture, but overall, its fun. 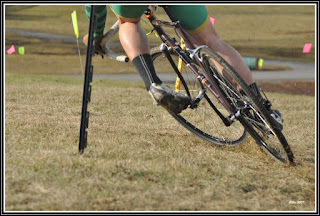 Unfortunately, during the fall its hard to get out and do that, so most of the pain is inflicted alone, on the trainer. For me, that's never fun. I prefer to chose terrain and riding partners to push me; sadly, this is not an option. The other side is the skills. Working on skills is always fun for me, but I don't think everyone is like me. I'll do one turn over and over again, trying different hand positions, different lines, more or less pedaling, etc. I don't mind crashing, but pretty much do it on purpose sometimes. That's all fun for me, a form of play. Doing that stuff alone can produce marginal gains that equate to real improvement out on the race courses, but again, with the time constraints, weather, etc., its not simple to get in the skills training required. This is the main reason I want to establish a permanent training track in town. I'm presently hoping to use space at OMBA's mtb park location (Hintonberg). Having a course to ride over to and practice at each week would be great for everybody, especially newer riders. Matt; this is the second time I've heard rumblings of a permanent track in town. Any more details? Where is the OMBA's park? Darren, Dave, the space I am talking about is in Hintonberg, a remediated site. I'm trying to discuss with OMBA. Among other things, this would be good got OMBA, as it would bring in new members, thereby strengthening OMBA's negotiating position. I really hope we can get this going. It boils things down to the better you are at the basic skills, the more you can focus on the other factors that make you excel. Wow, great link, Marc. I'm blown away by Rinaldo's performance in the dark; I would not have expected he'd be that good. Incredible. He's analytic, always in the cognitive phase.